MySavings is a network offering a great assortment of printable coupons. Whoa, lotsa good money-saving stuff. Printable Coupons are regular, plain-old grocery manufacturer coupons that you can print off your computer. YourBucks Offers are dollars-off rewards on future purchases. Register to view all the YourBucks Offer details, so you can learn how to earn those extra savings. You will receive YourBucks Offers after you purchase the promoted products at a store. YourBucks can then be used like cash on any items in the store on your future purchase. Here are a bunch of printable coupons and YourBucks offers. Create a login on Coupon Network first to take advantage of these offers. The end of the month is nigh upon us; August 31 is TODAY, which means we can look forward to some new coupons popping up in the changing of the (coupon) guard. 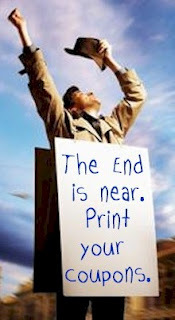 It also means that many of your favorite coupons, you know, the ones you've been meaning to print but haven't gotten round to, are going away. If you've got any coupons on Coupons.com, SmartSource, Red Plum, Whole Foods, Target, Kellogg's, Betty Crocker, or Cellfire that you've been eyeing, now is a good time to put toner in the printer. Click here to earn 150 free Delta miles for watching a video about Bose noise-canceling headphones. After the video has played, you'll be redirected to a screen where you'll be asked to enter you Delta frequent flier number, and 150 miles will be deposited into your account. You can get an additional 350 miles for watching an in-store Bose demo, and 1,500 additional miles for buying a pair of Bose headphones in-store. I was way too lazy to go to the store to watch the demo, but I'll happily take the 150 miles for doing almost nothing. 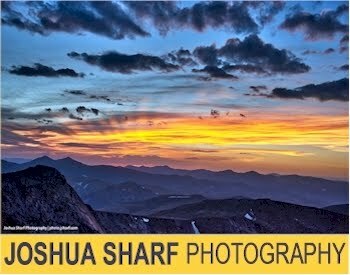 I wouldn't be a true frugal blogger living in Colorado if I didn't write a post about SNIAGRAB. No, I didn't sneeze. Sniagrab (which is just "bargains" backwards) is an old western Labor Day tradition that originated in Colorado, though it has now spread to Idaho, Alaska, Washington (state) and Utah. It is considered to be the largest sale on ski equipment in the world, with bargains on this past year's models of winter sports equipment of up to 75% off. It is a HUGE, festive sale with surrounding events and giveaways that draws literally thousands of people to designated Sport Authority locations over Labor Day weekend. And the bargains are enormous. If you live in any of these five states or nearby and have been hankering for a new snowboard or ski thermals, this is the sale. Click here for more details. Watch the video above for a fun five minute look at last year's Sniagrab. We Coloradoans take our winters very seriously. 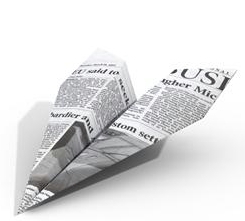 Click here and submit your email address for a voucher for $10 off your next AirTran flight. You must book this flight by today and travel by 11/18/11. Click here to print a high-value coupon for $2 off any two Air Wick products, excluding aerosols and stickups. I'll bet I can score some free or near-free refills with this coup if I look around some. Each Wednesday, MyCokeRewards runs a special promotion on one of their rewards. Today they discounted the points you need to cash in for a free box of Nabisco crackers, from 150 to 50. Considering that a 20 oz. bottle of Coke, which usually goes for around $1.59, is 30 points, and a box of crackers is usually around $2, this is a good reward redemption on a point by dollar basis. It's available today only....search on "Triscuit" in the rewards section to find it. My husband and I each have a MyCokeRewards account, which has lately become one of my favorite rewards program. Between the 8 free college tshirts deal that we scored this month (which expires today, so if you haven't done it already, do it now! ), the free BOGO Coke coupon, and the dozens of free 20 oz. Diet Cokes that we've redeemed, it's become a very profitable program with very little effort put toward earning the rewards. The best points rewards programs are those that don't require you to change your behavior. If you're not a member of MyCokeRewards yet, and would like me to refer you, shoot me an email with the email address you'll be using for the account and I'll send you a referral invitation. When I refer you, you get an extra fifty points for signing up (which is already more than enough for a free 20 oz. Coke product) and I'll get 10 points (thanks!). Much thanks to all the DailyCheapskate readers who have let me refer them so far. How are you enjoying the program? Remember that fabulous 1000-point AT&T giveaway back in February? It's back! Yes. All AT&T cell customers can get 1,000 bonus rollover minutes, with no cost or obligation. Just text YES to 11113020. 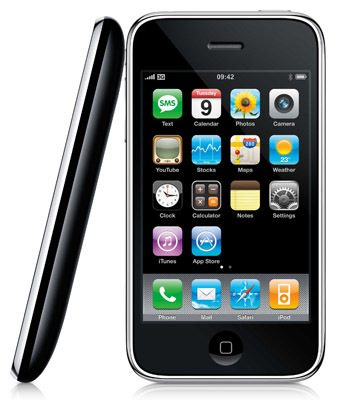 You will get an immediate response text confirming that you got the extra minutes. Another reason to love my Iphone. Today, 8/31/11 only, get a whopping 15% cash back (usually 6%) from ShopAtHome.com when you click through the ShopAtHome.com link to the Vistaprint site before you shop. Remember, you must be a member of ShopAtHome.com and signed into your account to get your cash back. Not a member of ShopAtHome.com yet? It's free. Click here to join and get $5 cash just for signing up and using their site to make a purchase within 30 days. Click here to print a pdf coupon for one Lucini Italia product. Expires 9/15/11. Get these 10mm button freshwater pearl earrings set in sterling silver, for just $8.99 with free shipping. Click here to purchase. This is one rewards program I always skipped; I figured, we don't have kids, so why would I need to join a Pampers Rewards program? So, I'm coming a little bit late to the party, but I'm here at last. While many of the rewards in this program are baby-oriented, many are just plain old good stuff to get. There are Sears, Zappos, Groupon, AMC Movie ticket, and BJ Wholesale gift cards available, and from what I hear from friends who already belong, the rewards codes abound and the points accumulate quickly. That is a must for me; I absolutely can't stand draggy rewards programs. And since I won't be buying Pampers, I'll rely strictly on the codes available online. If you ARE the parent of a baby or toddler, this rewards program is a must-join. Click here to join and you will start out with 100 points. I'll be posting rewards codes as soon as I can get ahold of them, so hopefully we'll be able to get to the first gift card quickly enough. I was so happy to see this coupon. We're going to be shopping for a new lab puppy in January and I'm loading up on supplies now, so the little guy won't cost a fortune when we get him. 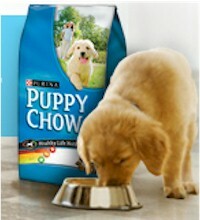 Sign up for the Purina Puppy Chow Healthy Start program and receive a coupon for $2 off Purina Puppy Chow. Those of you who read this blog regularly know that because of all the many free deals on magazines and newspapers, my annual budget for periodicals, was, well, zero. Null, nada, gournisht, effes, big goose egg. But sadly, my free Wall Street Journal daily subscription has expired, and along with it, my free source for Sunday coupons. This past weekend, I had to run out to Starbucks to pick up a $1.50 full-price Sunday Denver Post. And pay for it. Ok, I paid for it with a Starbucks gift card that I got for free from Swagbucks, but still! I paid full price for a newspaper and I had to burn gas in my car to get it. That just strikes me as wrong. I checked out subscription prices on the Denver Post website, and found that they weren't all that much better. Then I found DiscountedNewspapers.com . They can get the Sunday-only Denver Post delivered to my door for $4.75 per month, even in months that have five weeks. Over the course of the year, that averages out to $1.10 per paper on my doorstep. That's frugal. Ok, that's cheap. I heart cheap. DiscountedNewspapers.com has heavily discounted deals on periodicals in just about every state. If you're not subscribed to a newspaper, this is a great opportunity to get one delivered to your door at a great rate. If you're already subscribed to a paper and paying ridiculous rates, you can cancel your subscription and subscribe through DiscountedNewspapers.com. No newstand prices, better than regular subscription prices, and you don't have to get in your car to pick it up. Click here and enter your zip code to see how well DiscountedNewspapers.com can do for you. And save that free Starbucks gift card from Swagbucks for lattes. 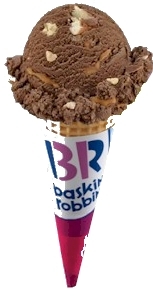 Buy one cone at Baskin-Robbins, get one cone free, good until 9/5/11. Click here to print the in-store coupon. The hand cream will be free because of the buy-two-get-one-free promotion. Total drops to $24. Add promo code 60057 to your order for 20% off. Total drops to $19.20. Standard shipping is $5.95, unless your total (after all discounts) exceeds $50. Total goes to $25.15. Your total on the Ulta site (excluding tax) will be $25.15. With your 9% cash back, your grand total on these three items worth $31 plus the three samples, shipped, will be $22.89. Excellent. Rimmel Glam Eyes Mono eye shadow, priced at $2.49. The $1/1 Rimmel Glam Eyes Target store coupon found here (click on the "Beauty" tab on the left-hand side). Neutrogena facial cleansing bar, priced at $1.97. the $1/1 Neutrogena Facial Skin Care Item Target store coupon found here (click on the "Beauty" tab on the left-hand side). ShopAtHome.com has got a great "Wild Deal" freebie to start you off today. 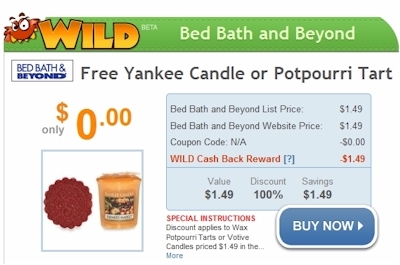 Get a free Yankee Votive Candle or Potpourri Tart from Bed, Bath and Beyond for $1.49 with free shipping, and you'll get $1.49 in cash back from ShopAtHome.com, making your item free. Once you're on the Bed Bath and Beyond site, add one of the Wax Potpourri Tarts or Votive Candles priced at $1.49, in "Farmer's Market," "Apple Cider," or "Pumpkin Pie" scent to your cart and check out. Shipping is free on these items. You'll pay only $1.49 (excluding tax). In a few days, you'll see a $1.49 credit in your ShopAtHome.com account, making this item free. Hurry, because these ShopAtHome.com Wild Deals always go VERY QUICKLY. As of my posting this, there are still quite a few of these candles left, so go! OshKosh B'Gosh is having a great buy-one-get-one-free sale on their pajama sets. Most of their boy/girl pajama sets cost between $30-$32, and their baby pajamas cost about $24-26. Shipping is a flat $6. If you buy four sets instead of two, your total will be greater than $40, and you can use promo code STUDYGROUP to get 25% off your total. AND, ShopAtHome.com is offering 4% back from your Osh Kosh B'Gosh purchases, lowering your costs even further. 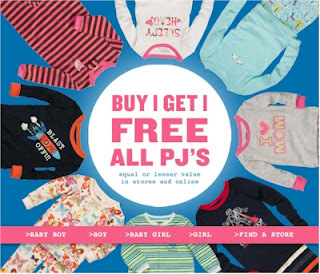 Add four pairs of baby's or children's pajamas to your cart. Let's assume, for argument's sake, that you buy four pairs of $24 baby's pajamas. Your initial total will be $24 * 4 or $96. Since OshKosh is running an automatic BOGO on pajamas, your actual total will be $48. Shipping is a flat rate of $6. Your total on the OshKosh B'Gosh site, excluding tax, will be $42. With your 4% cash back from ShopAtHome.com, your grand total for these four pairs of pjs (excluding tax) will be $40.32 shipped, or just $10.08 per pair of pajamas. 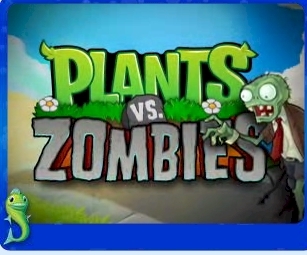 Download a full version of Plants vs Zombies from Big Fish Games for just $0.99, when you enter promo code PLANTS99 at checkout. This game is available for both PC and Mac. You can actually download a trial version of it first and play it for one hour. If you like it and want to keep playing, enter the promo code at checkout. Parents magazine: 2 years for just $5, new members for just $2! 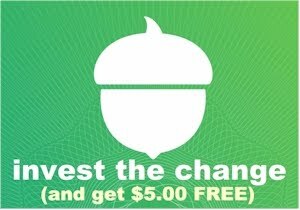 8/30/11 UPDATE: Eversave just increased their new member bonus to $3, so if you are not a member of Eversave yet and want to purchase an annual subscription to Parents magazine, it will cost you just $2 for 2 years, or a dollar a year! Fantastic...less than the cost of a coffee at Starbucks. Grab this deal before it's gone! Being a parent can be challenging...dealing with teething, the terrible two's, the first day of school and much more! 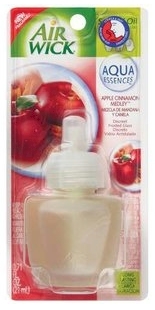 Today's Eversave deal is a great source for all parents, no matter what they're going through! For all of your Moms & Dads and Moms- & Dads-to-be: $5 for a two-year subscription to Parents magazine, a $24 value. Receive parenting tips and advice for children of all ages. Parents magazine is also a great source for infant- and children-related coupons, like on diapers, gymboree, and more. Get this for yourself or give a voucher as a gift to new and expectant parents. New members, you can get this for just $3 when you use your $2 new member credit! Click here to sign up for or log into Eversave and then purchase the deal. Offer expires on midnight, 9/7/11. 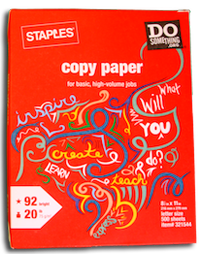 Click here to download and print a coupon that will let you purchase a ream of Staples "Do Something" 8 1/2" x 11" copy paper for just $0.50, after Easy Rebate. You'll pay full price for the ream. After the cashier scans the coupon, the register will print out an Easy Rebate certificate with which you'll request an Easy Rebate of the purchase price less $0.50. Coupon good until 9/3/11. One Easy Rebate per household only. Click here to print your in-store coupon for $10 off your minimum $10 purchase of Liz Claiborne merchandise at JCPenney. This coupon is good for in-store use only and expires 10/1/11. Looking for some free or near-free items to snag with this coupon? Check out the Liz Claiborne accessories, like these $9.99 earrings or this $12.99 wristlet and other items priced close to $10. In the men's department, you can snag this $9.99 tshirt or this $11.99 pima cotton polo. Are your teenagers dealing with adolescent acne? 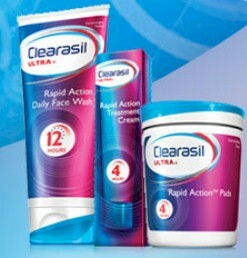 Click on the Clearisil Facebook page and like them, then click on the "Clearisil $3 coupon" tab on the left-hand side, to print your $3/1 any Clearisil product. Use your back button to print it twice. 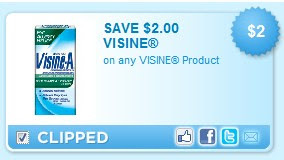 Click here to print this $2 coupon for ANY Visine product, with no size exclusions. (Most OTC drug coupons exclude trial or travel sizes.) Then head over to the Target travel size section and look for the .28 ounce Visine for $2 and score a free product. If you don't see the coupon, use zip code 80224 and click on the "Personal Care" tab on the left-hand side. 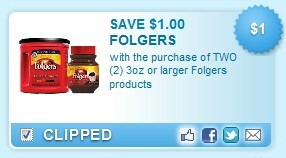 Click here to print a $1/2 Folgers coffee. This is good for ANY two 3 oz. 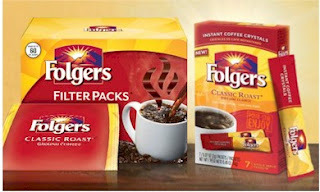 or larger Folger's products, including my favorite, Folger's coffee bags (which never seem to have their own coupon). If you don't see the coupon, use zip code 80224 and then click on the "Beverages" tab on the left-hand side. Amazon is offering yet another $5 Amazon Video on Demand Credit when you re-Tweet the offer for them. This deal is available until 9/2/11. The credit expires on 10/31/11. Click here. Click on the "Tweet and Get $5" yellow button. You will be prompted to log in to your Amazon account and Twitter account and to connect them. Click on the "Allow" button. This will make your Twitter account automatically tweet the following: "I just got a $5 credit for instant movies and TV shows @amazonvideo. Click http://amzn.to/oWmBFy to get yours. #get5." You'll then be directed back to the Amazon site and receive this message: "We have successfully applied a $5 credit to your Amazon.com account, good for movies and TV shows at Amazon Video On Demand." Check and the credit should be in your account. This deal is a little tricky, but I tried it and it worked for me. A new marketing company called KIIP (pronouncd "keep") has embedded gift card rewards in certain smartphone games. Basically, once you attain a particular goal in the game, KIIP rewards you with a gift card. They are starting out with an Iphone game called 7x7. It's a very easy, fun game. Here's how to get $7 in Best Buy gift cards from simply playing the game. 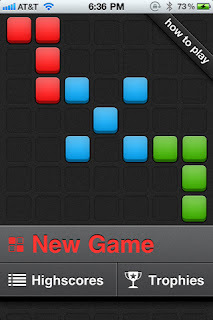 Download the 7x7 game here to your Iphone Ipad or Ipod Touch. You can also get it by searching on "7x7" in the App Store. The game is free. Play the game. You basically just need to line up four or more of the same color blocks in a row. There are instructions on the game screen. It's a very easy, addictive game. When you attain 500 points, a small message will pop up at the bottom that says "KIIP Reward unlocked." Click on the message, and it prompts you to another screen that says "You've won a $2 Best Buy Gift Certificate. Here's a reward for 500 blocks. Enter your email for instructions." Enter your email address, and click on the "Redeem, return to App" button. After you've won the $2 gift card reward, play the game again. At 1,000 points, you will go through the exact same process to win a $5 gift card reward. The rewards are just like regular Best Buy gift cards, except that they can only be used in-store and they expire on 9/5/11. If you play the game continuously and don't see the KIIP pop-up, shut down the Iphone, wait ten minutes, and then fire up your Iphone and play again. This worked for me. It seems KIIP has a limit on the number of rewards that they release per user in a certain time frame. I don't know if this game is available for Android and even if it is, if gives you the same KIIP rewards. KIIP is being a little secretive about which games contain their rewards, because they want users to play for the pure enjoyment of the game. If you're an Android user and were able to download the game and get these rewards, please let me know so I can update this post. Remember, these special Best Buy gift cards expire on 9/5/11 and cannot be used on BestBuy.com, only in-store. I'm headed over to Best Buy later to spend my $7 in gift cards on a flash drive. Getting monetarily rewarded for playing a computer game is some people's idea of a dream come true! Get $10 off your next $60 purchase at Party City, today and tomorrow only. 8/29/11-8/30/11. Click here to print the coupon. If you'd like to use this special offer online, use promo code PCYM44. Now's a great time to get a jump on buying high-quality tableware for the holidays. If you love Party City as much as I do, don't forget to enter the Party City Sukkot Giveaway to win a gorgeous set of Party City formal tableware. Click here. UPDATE: Sunday, August 28 is the last day for this Extra Cash Back Event, so shop now. The latest promo happening from ShopAtHome.com is the Textbooks Extra Cash Back Event, running until 8/28/11. Students can find hot deals on new, used, and eTextbooks for the new school year, but even if you're not a student, ShopAtHome.com is also offering extra cash back at Target, Vistaprint, Walmart, Macy's, Best Buy and other great stores. If you're not familiar with ShopAtHome.com yet, here's a quick rundown: ShopAtHome.com is a premier, safe, secure cash-back program. 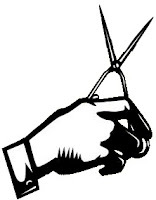 Join ShopAtHome.com and buy anything online; if the vendor is listed on ShopAtHome.com and you click through their link first, you will get a percentage of your purchase back in cash. ShopAtHome.com has most major online vendors listed on their site. And the beauty of it is, you're not forced to do something you wouldn't already be doing...you're already shopping online, just clicking through a different link first. Walmart, was 3%, now 6% cash back. McAfee, was 16%, now 32% cash back. Target, was 3%, now 6% cash back. Alibris, was 4%, now 8% cash back. Buy.com, was 5%, now 10% cash back. Best Buy, was 1%, now 3% cash back. College Book Renter, was 4%, now 10% cash back. Click on the Johnson's Baby Facebook page and like them. Click on the "Offers and Contest" tab (on the left-hand side). 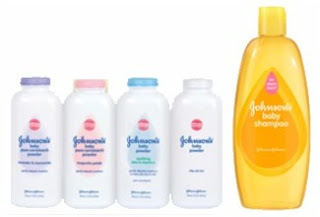 There are two separate links, one to print the $1/1 Johnson's Baby shampoo coupon and one to print the $1/1 Johnson's baby powder coupon. Use your back button to print these twice. Get this fantastic freebie before it's gone! 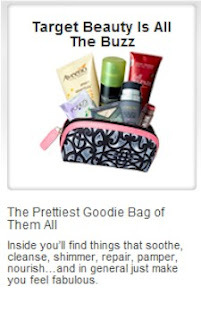 Click here to request a free Beauty Bag. This offer was available a few months back and the bag was full of great beauty samples and came with a huge coupon book. Even if you don't normally request samples, this one is worthwhile. Once you're on the Limoges Jewelry website, add this sterling silver ring to your cart. The ring is priced at $19.99. 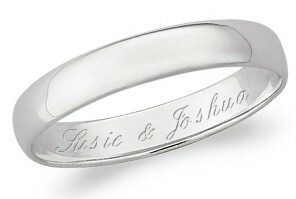 Make sure to add your message to be engraved on the inside of the ring and choose a ring size. Double-check to make sure you've spelled out your message correctly. Use promo code SHIPCAT4 to eliminate the $3.99 shipping charge. Alternatively, you can use promo code USAVE20 to get 20% off, if you're ordering more than one ring. If you're ordering only one ring, it works out to the same discount (and you cannot use more than one promo code). If you'd like to buy the men's version of this ring (wider and with larger sizes available), it's available here, but it will be more expensive (still a great price); with your promo code and cash back, it will work out to $29.42. Once you're on the Limoges Jewelry website, add this wide sterling silver ring to your cart. The ring is priced at $34.99. Make sure to add your message to be engraved on the inside of the ring and choose a ring size (whole sizes available from 5-16). Double-check to make sure you've spelled out your message correctly. Use promo code USAVE20 to get 20% off and the price will drop by $7 to 27.99. With your 20% off promo code and 8% cash back, your grand total on this wide engraved sterling silver ring will be $29.42. Still a great price on a personalized gift. Costco.com has got a 10-pack of AMC Gold Experience movie tickets for just $62.99. Limit two packs per member. If you are not a Costco member, the price goes up by $4.15 to $67.14. Free shipping. Click here to purchase. Please note, the item will be marked $82.99 until after you add it to your cart, and then the price will drop. Given that most AMC movie tickets are $10 or more at the booth, and this deal drops that price down by 33-37%, I'd say this is a must-buy for frequent moviegoers. Click here to purchase. Good at any AMC, AMC Showplace, Loews, Cineplex Odeon, Magic Johnson and Star theatres, excluding Canadian theatres. Valid with other coupon offers. Fee added for 3D and IMAX films. Click here and enter your zip code to print your coupon for $40 off your next Roto Rooter service call. Click on the Folger's Facebook page and like them. Click on the "What's Brewing" tab. You'll be given a choice between printing a coupon for $1/1 Folger's Filter Packs and $0.35/1 Folger's Instant Coffee Single Serve Packets. I actually wasn't able to get the coupons to print (Folgers posted that they are having some major technical problems) but maybe you will have better luck if you check in later. My inbox overfloweth today. Click here to print a coupon for $2 off of two bottles of Tazo tea (use youR back button to print it twice). 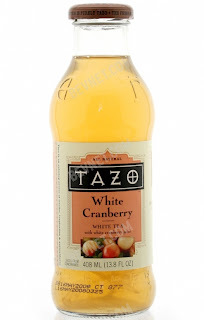 Tazo tea frequently goes on sale for $1 at Whole Food or Natural Grocer's/Vitamin Cottage, so keep your eyes peeled for sales, because this coupon could snag you two free bottles. Expires 11/30/11. As I've explained in earlier posts, my target price for high-end dog food is about $1 per lb. In this shopping trip, I managed to pay only about half of that, so I'm a happy, er, puppy. 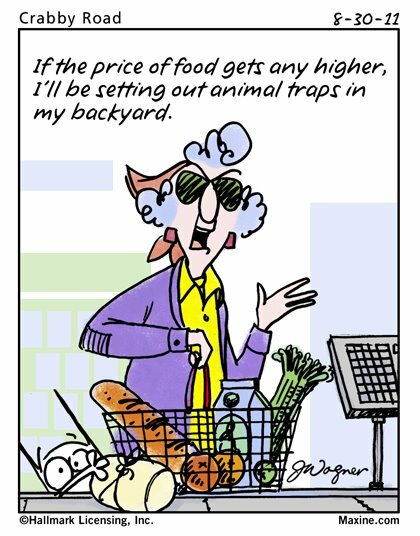 It's very easy to save money on high quality pet food, because it can be stockpiled so easily and doesn't go bad. The trick is to strike and buy when the opportunity arises, long before you run out of food. I purchased two 5.5 lb. bags of Ultramix adult dog food for $13.99 each = $27.98. 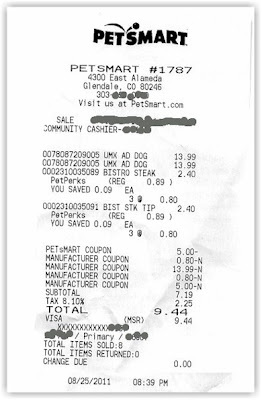 I used this PetSmart store BOGO coupon for the one bag and this $5 manufacturer's coupon for the other. I have never had a problem stacking store and manufacturer's coups at PetSmart. They have truly wonderful cashiers. I also had 2 of these Cesar Canine Bistro buy-two-get-one free coupons. I bought six at $0.80 cents each, and saved $1.60 with the 2 coups. Additionally, I had a $5 off $25 coupon reward that you receive for reaching a threshold (I think it's $100) on your PetPerks account. I actually gave that to the cashier first, before any other coupons reduced my total. Got brag? Please, I love love love to post DailyCheapskate readers' frugal successes. Send it to me here. Click here to request a new bunch of P & G samples. You will be asked to log in or sign up, depending on whether or not you've been to the site before. I was able to get samples of Head & Shoulders, Prilosec and Always. I guess the real question is, is it hot enough for some free Sweet Leaf tea? 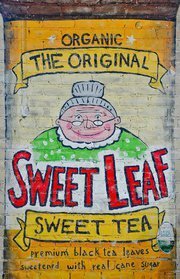 Get your buy-two-get-one-free coupon from organic Sweet Leaf Teas. Click here, and a website application on the page will pick up your location from your IP address (I love clever web apps). If your IP is masked, you can just enter your zip code. Once the site has picked up your location, it will shoot it over to a weather application, and if your current outside temperature exceeds the record temperature for that day, you will be asked to enter your name and email address and Sweet Leaf will email you a link to a coupon for buy-two-get-one-free for delicious (and kosher) organic Sweet Leaf tea. I snagged one for the 87 degree weather in Denver. DailyCheapskate reader Grandy snagged one for Phoenix's temperature of 106! (Thanks for telling me about this page, Grandy.) If you do get a coupon, don't forget to use your back button to print it twice. Click here to see if it's hot enough. Kashi Go Lean vanilla cereal priced at $3.69. I used the $1.50 coupon that came with the Kashi free sample granola bar. 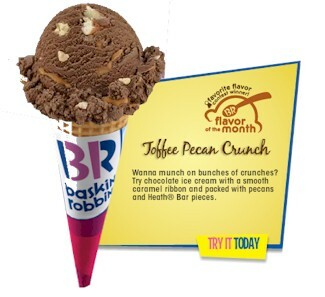 If I'd had two of those, I would have purchased two boxes and stacked them with the last month's WF $1/2 coupon. Total cost: $2.19 (saved 40%). This is actually about twice as much as I'm used to spending on cereal, but I took a splurge. 4 boxes of Nature's path 5 count granola bars, on sale for $3.00 each=$12.00. I used 2 of this month's Whole Foods $1.50/2 coupon here and 3 of the $1/1 coupons that I got from the Mambo Sprouts Rocky Mountain tour. Total cost $6 or $1.50 per box (half price). Organic Valley half and half, 16 oz. on sale for $1.99. I used the current Whole Foods coupon for $1/1 and the $0.75/1 coupon here. Total cost $0.25 (saved 87%). 2 Organic Batter Blasters pancake and waffle batter at $4.39 each=$8.78. I used the deal I posted here: last month's Whole Foods $3.00/2 coupon stacked with two $1.00/1 coupons. Total cost: $3.78 for 2 or $1.89 each (saved 57%). Since this was such an awesome buy (my cashier high-fived me on this one), and these coupons are reprintable, I will probably go back and get some more. SanJ gluten-free organic teriyaki sauce $3.39. Great on salmon. I used the last month's Whole Foods $0.55/1 coupon and the $0.55 Mambo Sprouts coupon from here. Total cost: $2.29 (saved 32%). Earth Balance dairy-free buttery spread $3.39. This is a really good-tasting pareve spread with healthier ingredients than regular margarine. 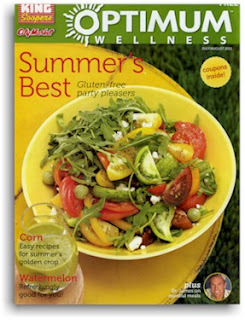 I used the $1 coupon that I found in the King Sooper's free Optimum Wellness magazine. Total cost: $2.29 (saved 29%). Late July organic gluten-free sea-salt chips $2.79. I used the $1.00 Mambo Sprouts coupon from here. Total cost $1.79 (saved 36%). I want to add that it took 12 minutes to do these matchups before I set out on my shopping trip. Everything I bought is stuff we will use, except for the half and half, which I'm actually going to try freezing for later. And several others. Also look out for a smaller version of Optimum Wellness magazine called "Go Gluten Free" which has a great manufacturer's coupon for $1/1 Beanitos chips with no expiration date. Nice. These organic coups will really help out your Whole Foods shopping runs. I normally don't like to post regional deals, but this one is way too good to pass up! Here's a shout out to my fellow Rocky Mountain dwellers: get a one year subscription to Denver's 5280 Magazine for only $7! This is a great new offer from MamaSource. 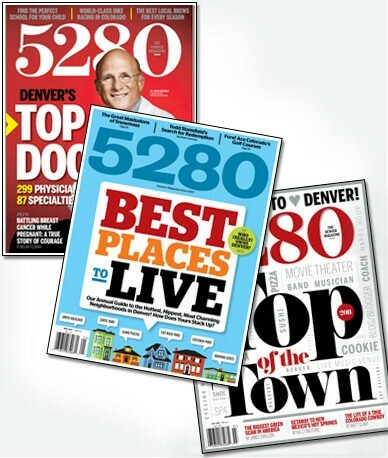 As far as I'm concerned, the 5280 "Top Doctors" issue alone is worth the price! Click here to get started. SaveMore is another one of those "Groupon" type sites. Like those other deal-a-day sites, they are offering an instant $10 credit when you sign up, which you can turn around right away. 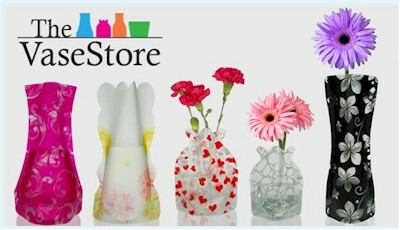 Use that $10 credit to buy two of these expandable vases from the Vase Store for $6 with free shipping. So you'll get the vases for free and still have $4 credit left in your account to spend on a future deal. Click here to get started. IMPORTANT: Make sure you sign up for the SaveMore account FIRST and then buy the vase deal. If you do it simultaneously, they will charge your credit card instead of applying your $10 credit. Click here to print a buy-one-get-one-free coupon for a HappySqueeze/HappyMorning pouch, redeemable only at Target, from HappyBaby premium organic meals. Coupon expires 8/31/11. 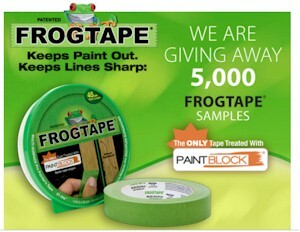 Click on the Frogtape Facebook page, like them and then click on the "Giveaway" tab (on the left-hand side) to request a free sample of their painter's Frogtape. Hurry, first 5,000 requests only, and as of this posting, they had about 3,000 "likes" so there's still a chance to get this sample.